Houston CapCom: Okay. Everything looks good from here. You have a go for fourth orbit. 1) Tiger shows Bond the rocket guns. 2) A ninja cuts the arms off the 'hay man'. 3) A ninja throws shooting stars. 4) An assassin attempts to kill Bond by a spike out of the pole. 5) Tiger's throw of the stars at Blofeld's arm is longer. Q: Bond sent for Little Nellie and her father. What was Little Nellie's father? Q: Why does Tanaka keep referring to Bond as Bond-san? 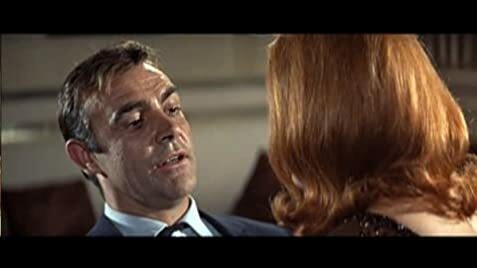 Solid entry in the James Bond saga – Sean Connery's fifth appearance as the secret agent in a row (his last, in fact, until DIAMONDS ARE FOREVER  and, eventually, the non-series entry NEVER SAY NEVER AGAIN ) – featuring a lovely title tune by John Barry and Leslie Bricusse sung by Nancy Sinatra. The relocation to Japan for the main action (resulting in impeccable photography courtesy of the renowned Freddie Young, who also contributes an inspired aerial shot of our hero at the center of a rooftop chase/struggle) adds much-needed novelty in the exotic department – though characters tend to be less well developed as a consequence. Tetsuro Tamba is imposing enough as his 'sidekick', but the all-important Bond girls have no distinguishing features – save for Karin Dor, a typical femme-fatale-ish villainess who manages to trap Bond in an unpiloted plane. Similar expansiveness was shown in Ken Adam's elaborate design of Ernst Stavro Blofeld's headquarters, hidden within the crater of a Japanese volcano; other attention-grabbing devices include Bond being 'killed' in the prologue (thus explaining the title), while he's later given an Oriental 'countenance' and even made to 'marry' a Japanese girl (an irrelevant undercover attempt, as it happens – since there is very little interaction between Bond, his local allies and the enemy before the final confrontation in the volcano interior)! 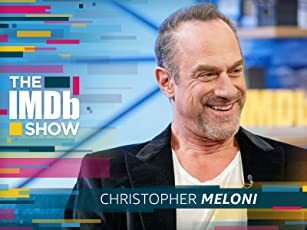 Its plot involving the abduction of space shuttles belonging to the U.S. and Russia, in the hope of provoking a war between the major powers, again plays on the fears of nuclear annihilation palpable during the Cold War era. Incidentally, this is the first time Blofeld himself steps in as chief villain (played with appropriate menace by Donald Pleasence – with a handy piranha-filled stream underneath a sliding bridge to replace the pool-sharks from the previous installment, THUNDERBALL ). By the way, Charles Gray (Blofeld in DIAMONDS ARE FOREVER) appears in a bit here as Bond's ill-fated contact in Japan! The most prominent gadget invented by Q (the ubiquitous Desmond Llewellyn) in this case is an artillery-equipped mini-chopper – employed in a sequence whose filming unfortunately cost an aerial photographer his leg! ; there's also a memorably violent brawl which has Bond and his opponent lashing at each other with heavy living-room couches! since he'd be involved in at least three subsequent direct matches with 007. 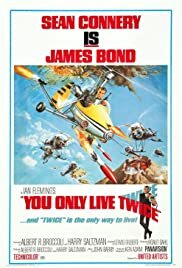 Given that director Gilbert lived up to the challenge of ably following in the footsteps of Terence Young and Guy Hamilton, it was only natural he'd be asked to helm further Bond adventures – though, by the time THE SPY WHO LOVED ME (1977) and MOONRAKER (1979) came along, Roger Moore had firmly established himself in the role.